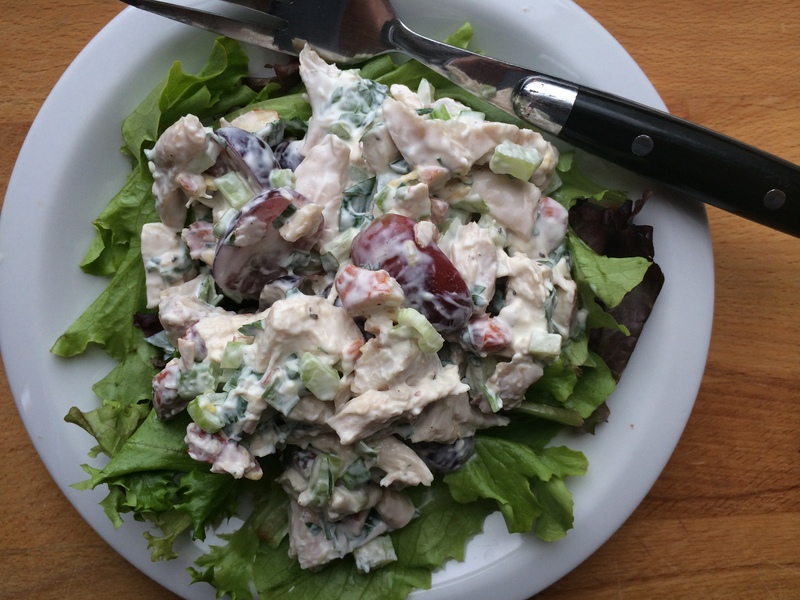 Chicken salad is so subjective. Everyone thinks of something a little different when they hear those two words. Everyone has their favorite way to prepare it. I wouldn’t dare claim this recipe as “the best” or “the greatest.” I’ll be political here. What I will tell you? This is the way I like it (so, obviously it IS the best and greatest). Pick up a rotisserie chicken from the market, or use leftover chicken. Either option works well. I like the substantial crunch the celery and almonds provide. I like the little kick of sweetness from the grapes. And I love the tarragon. Tarragon is a must! 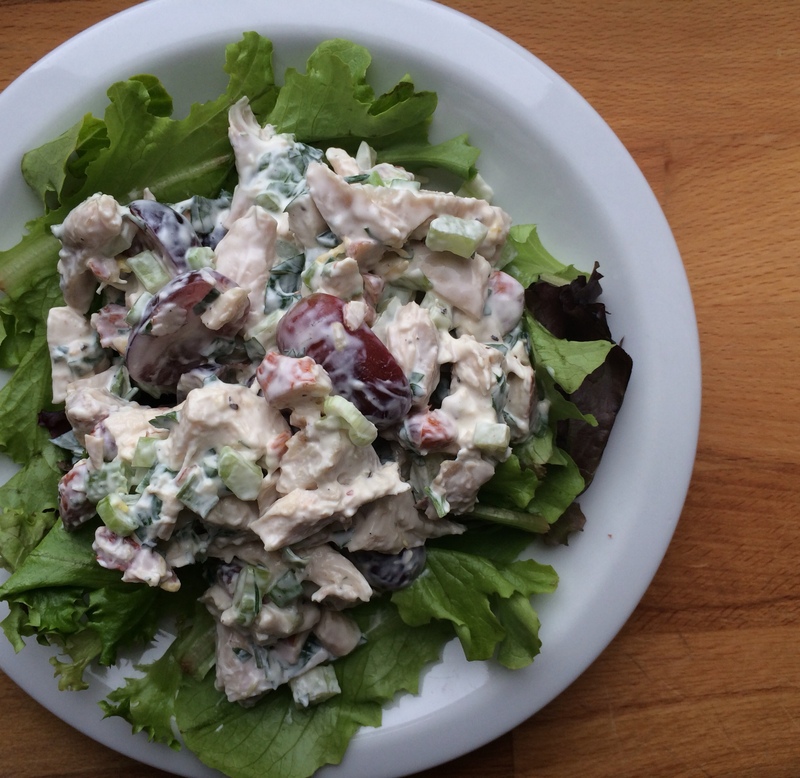 Preparing chicken salad “the classic way”… that’s how I roll. I eat this for lunch or a no-cook-dinner on a hot summer evening. Serve on a bed of lettuce, in these cute Endive boats, as an open face sandwich on a piece of toasted multigrain bread, or straight out of the bowl with the serving spoon. Greatness awaits. 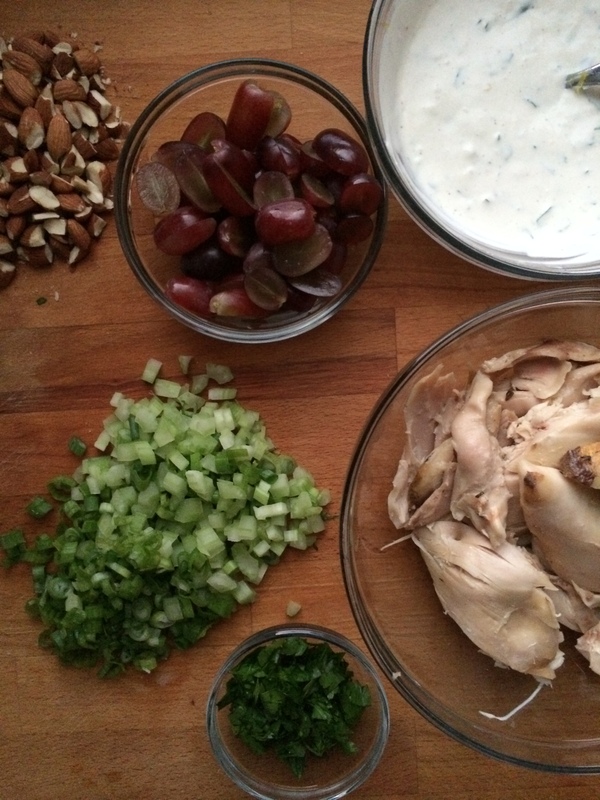 Combine chicken, celery, green onions, parsley, and grapes in a large bowl. Toss to combine and reserve. Toss salad and dressing to combine. Add almonds, toss again, and serve. Thank you California Endive Farms for the beautiful shipment of endive! 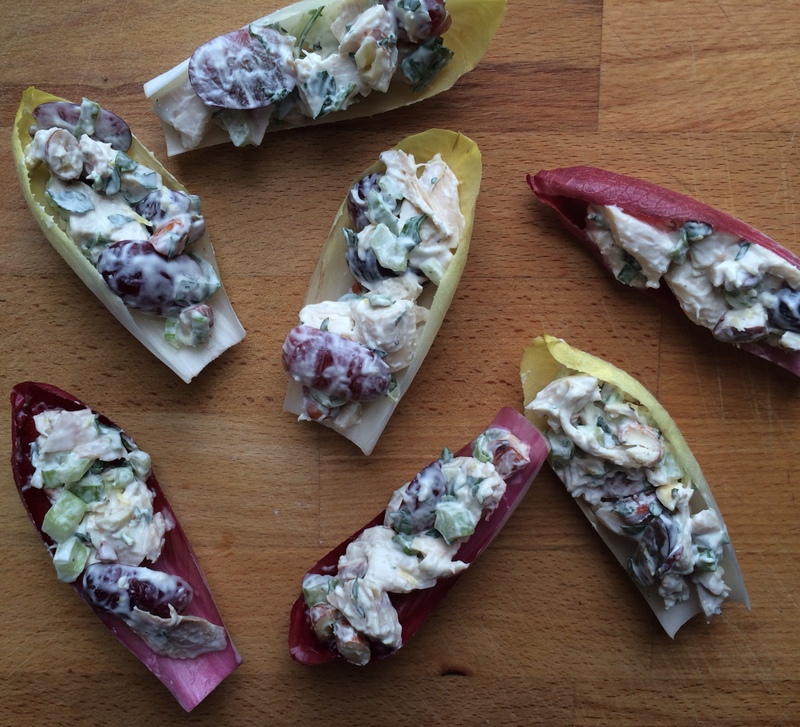 The slightly bitter flavor and crunchy texture of the endive leaves play very well with this chicken salad recipe. Absolutely delicious!